A have a few more typecasts to post about my trip to Melbourne that I’m to get out of the way… oh, by the end of the year? Hope you’re still enjoying these. 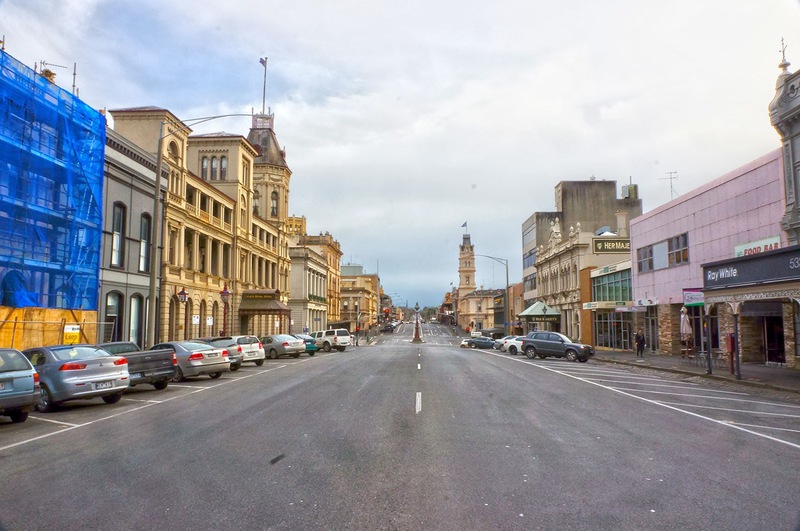 A view up one of Ballarat’s original gold-rush era streets, Lydiard street. Inside the Ansonia hotel on Lydiard street. 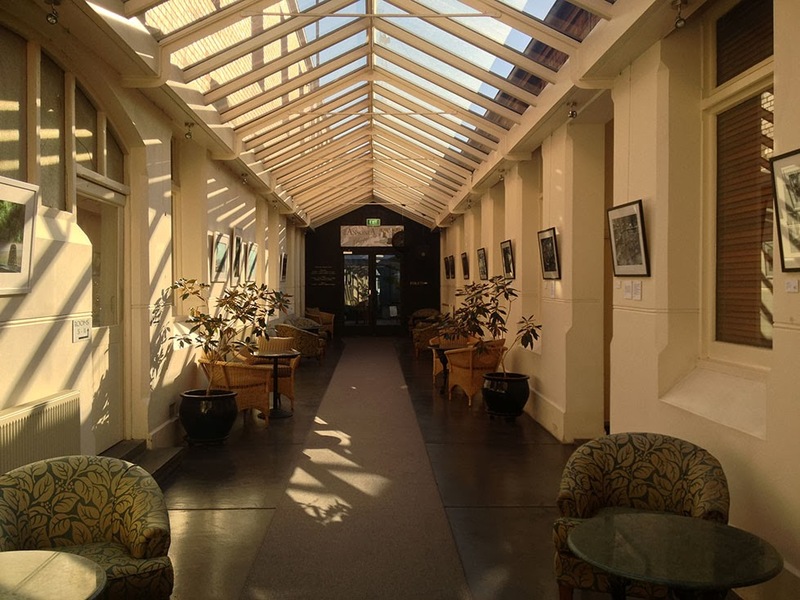 The glass roof is a modern addition to the historical building. 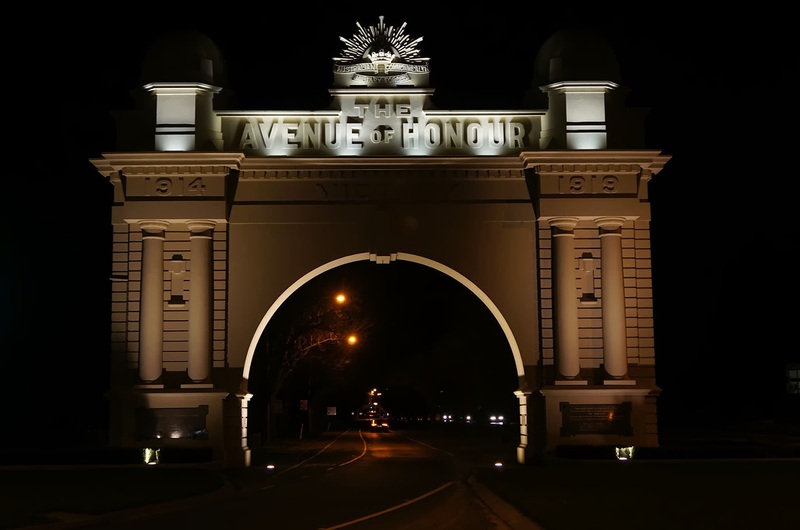 Part of the Avenue of Honour memorial. An old photo of the rebuilt stockade that was on the site till the 90’s. 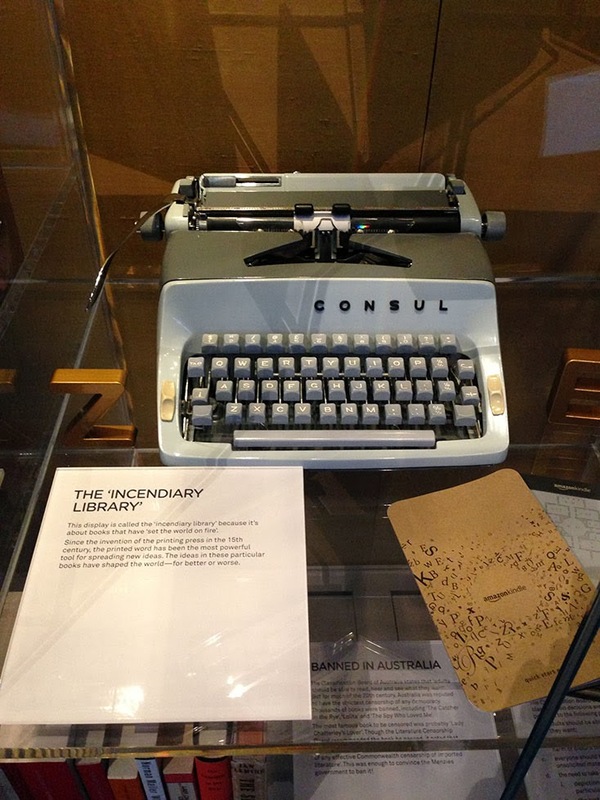 The Consul that was part of the Martin Luther King display – ‘Incendiary Library’ display. 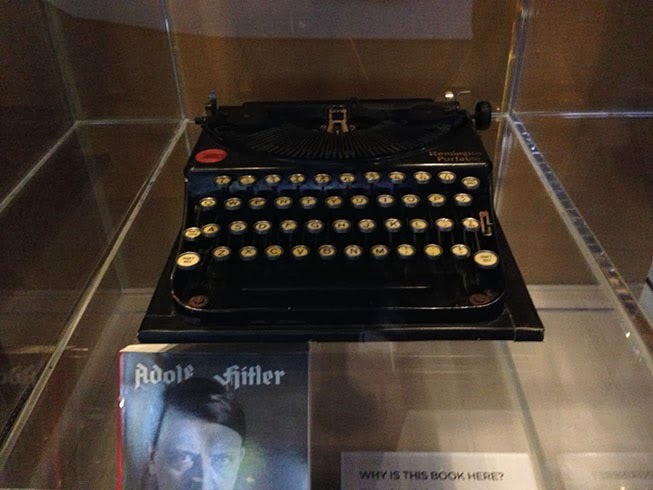 The Remington portable that was part of the Mein Kampf display – ‘Incendiary library’. 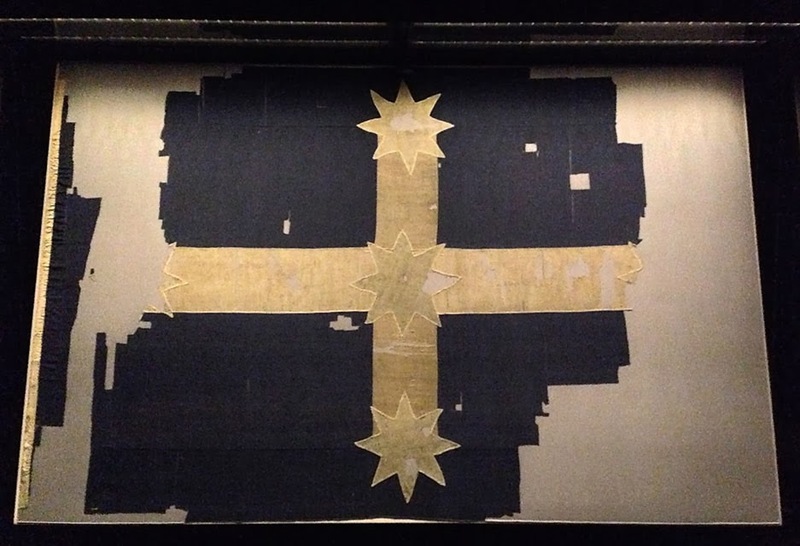 The original southern cross flag. 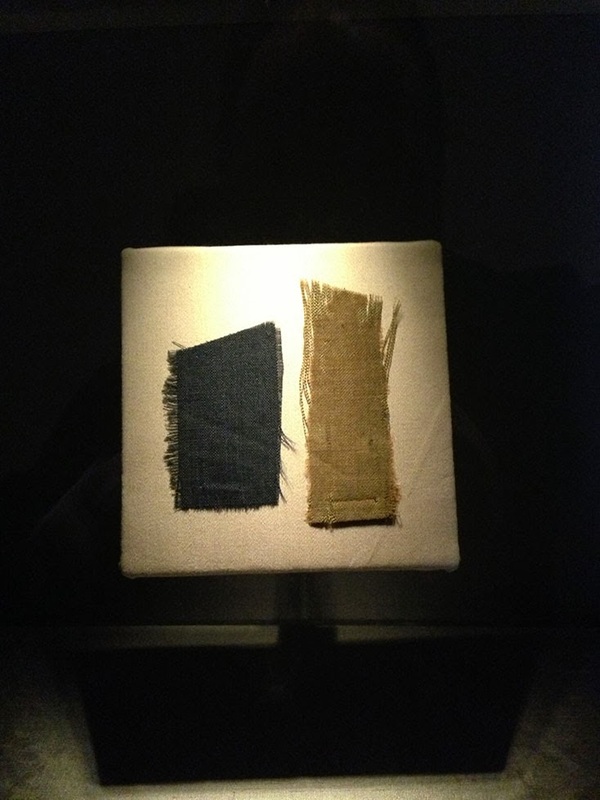 Pieces of the flag that had been posted as a souvenir. 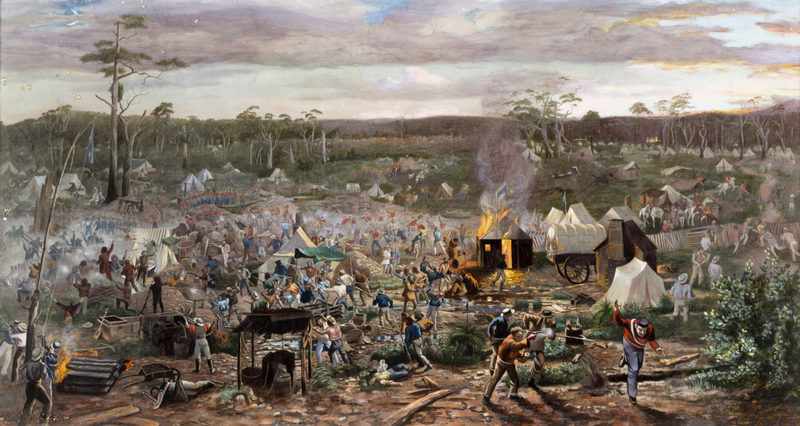 October 13, 2013 in Ballarat, consul, driving, Eureka Stockade, gold mining, history, Remington, travel, typecast. My marvellous indulgence in Dr Blake. Great stuff! I do enjoy them – keep 'em coming please. Yes, very interesting history. In the US it was popularly about tea, but in Australia about gold, but still the same old thing of the empire fleecing the colonies. That hotel looks lovely. But “capricious” bathrooms where, I assume, one would never know what will happen when operating the spigots, turning on the shower, flushing the toilet, etc., might knock a star or two from the rating. Very interesting place. One day I hope to visit Australia. 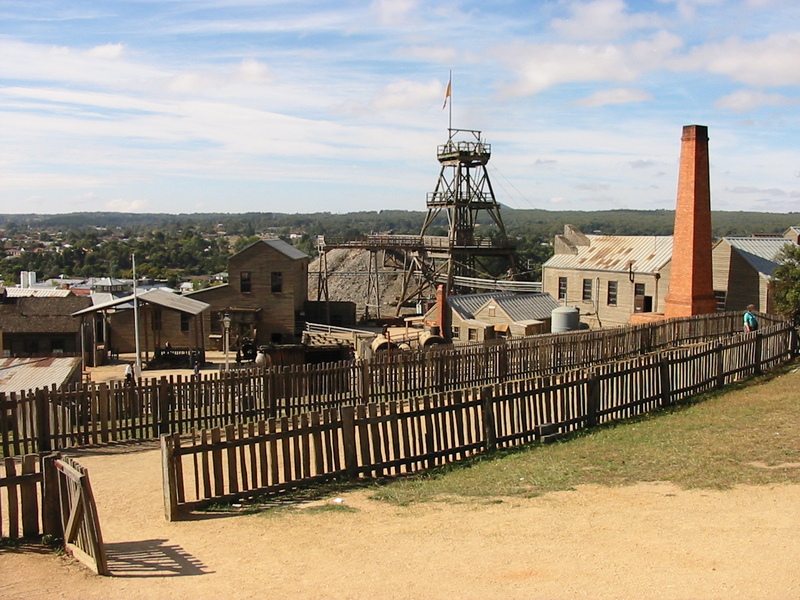 Gee, I haven't been to Sovereign Hill since primary school. 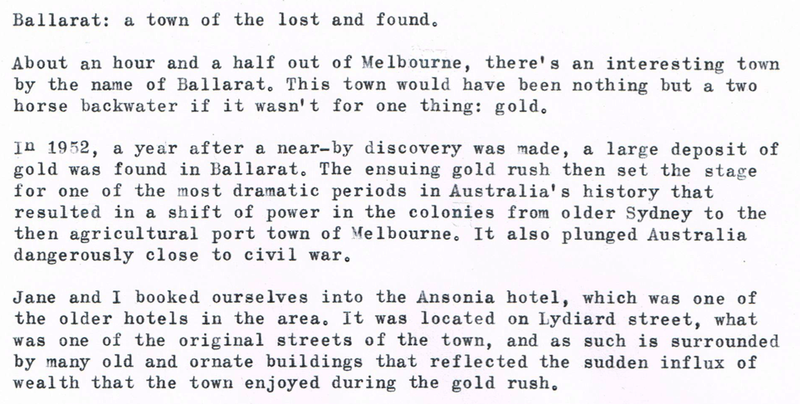 Gotta get back there and take a longer look at Ballarat. Maybe a day trip is in order sometime soon. What's the E in M.A.D.E? Thank you! I certain shall. Well, we're usually rather forgotten out in the back here. *sigh* over tired writing… Oh well, that's the beauty of writing with a typewriter. Your mistakes are forever. I'm certain you'd love your visit! Thanks T! It's a bit on the expensive side these days. But still cheaper, and more interesting than the awful theme parks running up here in QLD. Good question. Would you believe that it's 'Museum of Australian Democracy at Eureka? As that's apparently what it is. In belated and somewhat toe shuffling defence of the realm, it never really mattered what nationality the protagonists of exploitation were. It was just coincidence, at the time, that some Brits were especially well versed in capitalism and were greedy beyond all reason. Roll forward a century and replace imperial nation with exploitative mining corporation (RTZ?) to see how democracy and independence can pan out (excuse the pun) in the longer term. Thanks for the history lesson. 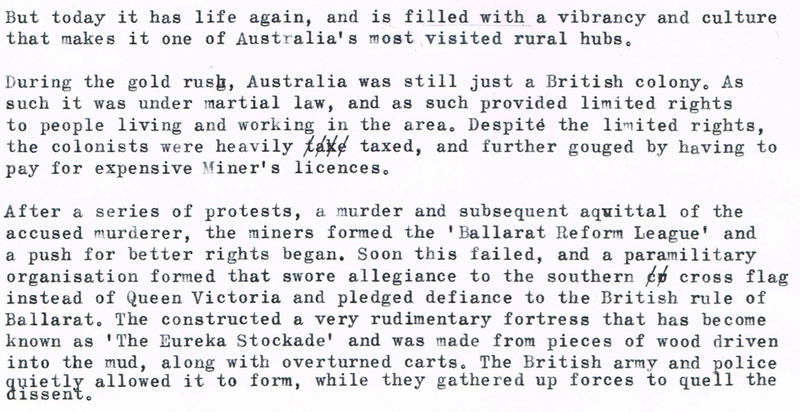 I'd heard of Ballarat but never learned of its place in the development of Australian nationhood. I can really see how the remnants of the original Southern Cross constitute an almost holy relic. To be fair to the British, these were typically actions being conducted by the british colonial government (Australia didn't have its own government at the time, and it was this event that triggered that to eventually happen) and not so much the british people per-se as a nation. Thanks for a glimpse of Australia that I don't usually see. I really like the southern cross flag and what it stands for. Or everything up here is too much focused on the Romans, Greeks, USA and both world war's. It's good to read something else once in a while! Nice opinion on Roof Replacement Melbourne.Thanks for sharing. Thank you so much for providing such helpful information on Roof Replacement Melbourne.